Although comprehensive patent laws can actually be traced back to 17th century England, they're still very much a part of our world in the modern age. Choosing to patent your idea or invention allows you to stake a claim over that idea or invention and prevent others from using it without your permission. However, there are still those who may try to get away with using patented materials without authorization. When someone violates your patent protection, it's essential that you defend your patent and take action against those responsible. 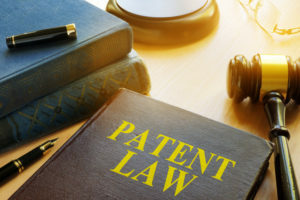 But before you ever contact a patent attorney about filing a lawsuit, you may want to learn a bit more about the different types of patent infringement that exist. Direct Infringement: As any patent lawyer will tell you, this is the most obvious form of unauthorized use. This involves producing, utilizing, selling (or attempting to sell), or importing a protected idea or invention without obtaining authorization from the rightful owner. Direct infringement means that the unauthorized version either performs the exact same function as the original or meets the original's description. Indirect Infringement: There are actually two types of indirect infringement. One is contributory infringement, which refers to the purchasing or importing of materials that are intended to be used as part of a patented item. In order to defend your patent in this type of case, you would need to prove that those materials were intended to be used only as part of your protected patent. The other type of indirect infringement is called infringement by inducement, which refers to any activity performed by a third party that causes someone to directly infringe on a patent. In other words, one individual or organization would need to convince another individual or organization to take part in behaviors that lead to infringement on the original patent. Even if one of those parties is not aware of the original patent, they can still be found responsible. Willful and Literal Infringement: Willful infringement involves the concept of intention. It refers to an act of infringement that involves a complete disregard for patent protection. Simply put, it means that the infringer likely knew about the patent and chose not to follow the law. Literal infringement refers to incidents involving the exact copy of a patented item being used, sold, or imported. This copied version would contain every feature outlined in the original patent. Although rare, it's just as blatant as willful infringement. In some cases involving literal infringement, the infringing party may claim that they are the ones with the licensed rights to that product or that the original patent is somehow invalid. However, it's likely that the infringing party will be aware of the patent in question and will (for whatever reason) choose to infringe upon it anyway. Doctrine of Equivalents Infringement: It's also important to note that even if the infringing item is not exactly the same as the patented item, a judge may find in favor of the patent holder if the item performs the same function and yields the same results. The patent holder may win this case even if the newer product is somehow more efficient. A judge might cite the doctrines of equivalents, complete coverage, compromise, estoppel, and superfluity to justify that kind of ruling. If you intend to protect your trademarks and patents properly, it's important to understand the scenarios you might encounter -- and why it's so important to find a good patent lawyer if any infringements should ever occur. When and if you need to defend your patent in a court of law, we're here to help. For more information, please contact us today.